When does the ending start? Once the clock strikes midnight, I become eligible for a new category of competition. 2016 is the year I turn 50 and as a consequence I am able to play in Seniors competitions. Under the FIDE regulations there is no requirement for me to actually be 50, just to turn 50 in the year that the competition takes place. Whether I take up this opportunity in the near term has more to do with how busy I am, but it is nice to have more competitions available to play in, especially international ones. If you are a programmer looking for literature on computer chess, then the Springer publishing company have just released a small treasurer trove for you. It seems that they have decided to drop the price of their electronic publications to $0.00 for titles published over 10 years ago. Doing a quick search for chess I found a number of important Computer Chess titles including "Chess Skill in Man and Machine" and the "Computer Chess Compendium" and some newer titles (for me at least) like "Scalable Search in Computer Chess". Apart from the chess titles, there are publications that cover a lot of areas, and after I am done with chess, I will probably dive into the Number Theory section. As an intellectual exercise, I find chess variants interesting. Some work, some don't, but it is still interesting to see what can be done with 32 pieces and 64 squares. Or more. As a practical exercise I am less of a fan though. Probably because I find standard chess hard enough, and often think that variants are just a way of making the game easier (cf a recent post of mine). The variants I really don't like are the ones where multiple sets get used and at the end of the session the sets are totally mixed up. This of course can be dealt with by playing online or on a PC/tablet. While hunting around Steam to see what was on offer, I came across a game that might work on computer, but I would outright ban at my chess club. Regimental Chess involves multiple sets and multiple boards. It even involves multiple players in some versions, but 1v1 is the default case. It looks like normal chess (from what I have seen) except that groups of pieces can be moved in formation, and capture multiple pieces. Kings can be captured, and doing so knocks out that entire army. It looks like a fun game (and too be honest might work as a party game irl), but is probably best experienced on a PC. The complexity of managing formations may be the hardest thing about it, but on the other hand, may also destroy the balance. There are more than a few big events starting post-Christmas, including the Australian Championships, New Zealand Open, and of course the Hastings International. While not quite as grand as its glory days (no GM RR anymore), Hastings is still a significant and historic event. This years 81 player Masters has attracted 13 GM's and 10 IM's, so players looking for titles are in with a decent chance (assuming they play well). The tournament begins this evening (Canberra time) and details can be found at the tournament website. Along with results etc, the top boards are also being broadcast via the Live Games link. GM Ian Rogers gives the advice to players trying to reach a rating of 2000. "Try and play as many 2000+ rated players as possible". This advice could of course be extended to any level, including players aiming to become 2600. IM Moulthun Ly is certainly making the most of his experience at the 2015 Qatar Masters, having played 3 2600+ players in the first 7 rounds. After losing to the first 2, he played a lovely attack against GM Daniil Dubov (2655) to win his round 7 game. This moves him to 4/7 overall, and gets him another strong opponent (GM Denis Khismatullin 2654) in round 8. I have been spending my Xmas break watching far too much television. On one of the shows, "8 out of 10 cats", there was a survey statistic quoted about what would make chess more enjoyable. Apparently 68% of the respondents replied "If it was easier". I'm not sure about the source and accuracy of this response (as it is a comedy panel show), just as I'm not sure exactly what would make chess easier. Do the respondents mean that they find it easier to play better, or do they mean that the rules should be changed to make it easier. If it is the first case the obvious solution is to simply let everyone use computers. But I'm sure this would make the game less enjoyable, as we would would be reduced to typists, transferring moves from board to screen and back. If it is about changing the rules of the game, then I can't think what might help. Reduce the size of the board is a possibility (6x6 dropping a knight and bishop). The risk though is that a change like this increase the number of drawn games. The same outcome might occur of we under power (or over power) the pieces (eg pieces can move a max of 4 squares). Indeed the more I think of this the more I wonder if what the respondents really meant is for chess to be easier for them, but for no one else. If so, the best solution I can think of is good old fashioned hard work! After his slow star in the 2015 Qatar Masters, Magnus Carlsen has gone full 'beast mode' and now leads the event after 5 rounds. After playing a few opponents who could be described as 'unfamiliar' he came up against his first 2700+ player in round 5, in the shape of Li Chao (a former Doeberl Cup winner btw). As there was only an 84 rating point difference between the two players, it might have been plausible for Chao to draw the game, or even cause an upset. However Carlsen seemed quite determined to not let that happen, and basically tore him apart on the kingside. As with games that involve opposite side castling, pawns and pieces tend to rush up the board, but Carlsen's attack carried a lot more force. He was clearly better by move 20, and totally winning a few moves later. The win moved him into a half point lead over a group of 8 players. Tonight there is no play, but in tomorrows round he will be up against Wesley So. Gaioz Nigalidze, famously caught using a mobile phone to assist his play in the 2015 Dubai Open has been banned from all FIDE controlled chess for 3 years, and has been stripped of his GM title. The decision by the FIDE Ethics Commission is the first case heard under the new FIDE Anti-Cheating Regulations, that were adopted late last year. As a first (proven) offence the 3 year penalty is the maximum under the guidelines, although the loss of title is probably a little bit more surprising to anyone unfamiliar with the new regulations. It is included in the list of punishments, although Nigalidze was a little lucky that the Ethics Commission felt he co-operated with the investigation, as he has kept his IM title (which could have been stripped as well). As the first major case, this will of course provoke a degree of discussion on the appropriateness or effectiveness of the punishment. I suspect for top level players the loss of title is likely to be the greater deterrent, along with the ensuing bad publicity. For lower ranked players (those without titles), it is the length of suspension that will obviously hurt. The FIDE website has the story here, including a link to the EC judgement. After 3 rounds of the 2015 Qatar Masters, only 2 players are left on a perfect score. Anish Giri and Li Chao have won all their games, and play in tonight's 4th round. As for the other players in the field, points and half points have been dropped in various ways. The first round saw two interesting results on the top boards. World Champion Magnus Carlsen drew with WGM Nino Batsiashvili in a game where Batsiashvili made Carlsen work hard for the draw. Wei Yi had a nightmare finish to his game against IM Shardul Gagare, resigning in a position where he could have still played on. Round 2 saw Vladimir Kramnik draw with GM Kacper Piorun on board 1, while round 3 saw a number of draws, including GM David Howell halving the point with Wesley So. Of the top players, Anish Giri looks in good form (continuing his run from the London Chess Classic) and beat Radoslaw Wojtaszek in a game that had a nice finish. Normally the ending sees rooks at their strongest, but with the very clever 60.Bd7, Giri reduced the mobility of his opponents rook almost to zero, and forced an immediate resignation. IM Kanan Izzat waited until the final round before overtaking IM Max Illingworth to win the 2015 Australasian Masters. Benefitting from the slightly easier run home, Izzat defeated FM Luke Li in Round 8 to secure a GM norm, before finishing with a quick last round draw with IM James Morris. Illingworth drew his round 8 game against Vasily Papin to reach 7/8, but a final round loss to top seed Arturs Neiksans allowed Izzat to win the tournament with 7.5. Neiksans finished in3rd place on 6.5, with Morris in 4th on 5.5. In the IM event, IM Igor Bjelobrk destroyed the field, scoring 8.5/9, finishing 3 points ahead of FM Chris Wallis and FM Eugene Schon who tied for 2nd on 5.5. Full results and tournament bulletins can be found at the tournament website. The strongest Swiss of the year (and maybe even ever) has just started in Qatar. The 2015 Qatar Masters has World Champion Magnus Carlsen as top seed, with Vladimir Kramnik, Anish Giri, Wesley So and Sergey Karjakin filling the next 4 slots. The bottom half of the 132 player field starts at 2500, and includes IM Moulthun Ly from Australia, who is seeded 83rd. Play begins at 11pm Canberra time, and live coverage is available via http://www.qatarmastersopen.com/english/ Ly has drawn Ruslan Ponomariov as his round 1 opponent, on Board 17. The tournament runs from today until the 29th of December, with the 25th being a rest day. The 2015 ACTCA Rapidplay Championship attracted a record field of 42 players, with IM Junta Ikeda once again emerging victorious. This is his 5 victory in the last 7 years, winning from 2009-2012 plus this year (he did not play in 2013-14). Despite the 36 degree heat the field was both sizeable and strong. Apart from Ikeda, Michael Kethro and Roger Farrell were rated over 2100, while a number of rapid chess veterans filled out the top half of the tournament. However Ikeda was unstoppable, scoring 7/7 in a dominant display. This left a very tight battle for second place, which was decided in the final game of the tournament, with Matthew Bennett and Willis Lo drawing their game and finishing on 5.5/7. A number of strong players finished on 5, which was only good enough for rating prizes. Probably the best performer based on rating was WFM Megan Setiabudi, who started with 4/4 and finished on 5/7. Surprisingly for an event like this, the various rating prizes were evenly split between juniors and adults, rather than going exclusively to the younger players. Due to the generous sponsorship of King O'Malley's and Chicken Gourmet, the total prize pool was $500. Apart from open prizes there were 4 other rating groups, and each section was hard fought. 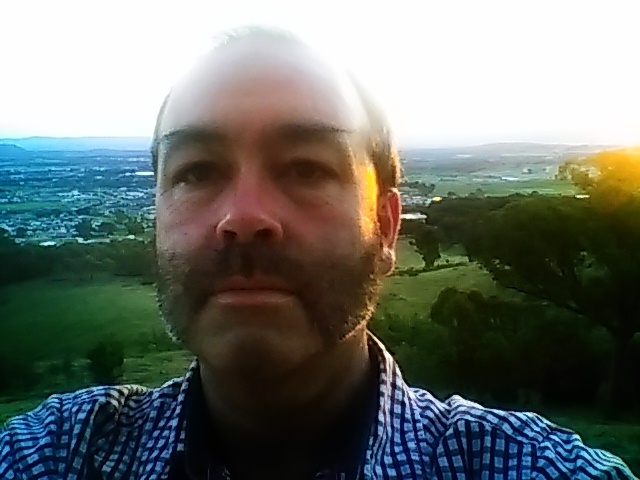 The large field reflected what has been a good year for ACT Chess, beginning with a record turn out for the 2015 Australian Junior Championship, successful events like the O2C Doeberl Cup, the ANU Open and the Vikings Weekender, plus well attended ACTCA activities. The first official ACTCA event in the new year will be the ACT Lightning Championship which will be held mid January. IM Max Illingworth has scored his 3rd Grandmaster norm, after beating IM James Morris in the 7th round of the 2015 Australasian Masters. The win by Illingworth moves him to 6.5/7 and he currently has a TPR of over 2800. With Illingworth playing GM's Papin and Neiksans in the last two rounds interest now turns to see if he can hang on to first place. His closest rival is another GM aspirant, IM Kanan Izzat. Izzat also won today and only needs 0.5/2 to secure a GM norm. He also has a slightly easier run to the finish, facing IM's Dale and Morris in the final two rounds. In the IM tournament that is running alongside the Masters, IM Igor Bjelobrk is dominating the event, starting with 7 straight wins. He holds a 2 point lead over FM Chris Wallis, and with 2 rounds to play, looks like a certainty to win this event. The last official ACT Chess Association event, the 2015 ACTCA Rapidplay Championship is on this Saturday in Canberra City. It is being hosted by Street Chess and is a 7 round G15m Open swiss. Over the years this event has proved popular, with a number of strong ACT players playing in this traditional pre-Christmas event. Missed last nights post as I was off to a midnight screening of the new Star Wars movie. Quite enjoyable, although it was bit of a homage to the original. Of interest to chess nerds, there was a brief appearance of the holographic chess game on the Millennium Falcon, although it was all over in 10 seconds. Another salutary lesson about the perils of non-engine Correspondence Chess. As one of my reasons for playing CC is to work on my openings, I am using the Leningrad Dutch against 1.d4 in a number of games. Clearly my opponent was up for some fun, as on move 4 he threw his h pawn up the board. Now this is certainly dangerous for Black, but most of my references seemed to indicate that it isn't impossible to meet (otherwise huge chunks of the Dutch would be out of commission). I also checked the line in HugeBase and found there was one line that looked good for Black. After I resigned the game I fired up Stockfish, only to discover that 6. ... e6 was in fact a blunder and White is winning from this point onwards. While I thought I was OK up until move 11 (Be7+ was the first new move in the database), my opponent saw a lot further than me. Of course one take away from this game is that this might be a useful variation to try if you have the White pieces against the Leningrad Dutch, as the trap takes a little while to spring, and there may be plenty of Black players waiting to fall into it. Tie-break systems are fraught with difficulties, and there is often no good way to separate players who finish on the same scores. The latest example of this is the finish to the London Chess Classic, where tie-breaks were used to determine both the playoff seedings, and the final standings to the Grand Chess Tour. In the final round Magnus Carlsen beat Alexander Grischuk, after Grischuk missed a strong exchange sacrifice and then found a terrible rook sacrifice a few moves later. With the other 4 games drawn, Carlsen caught up to Giri and Vachier-Lagrave, to share first place on 5.5/9. The win for Carlsen was doubly fortuitous as Grishuk had scored more points than the players beaten by Giri and MVL, and so Carlsen finished on top with a better SB score (the first two tie-breaks being equal). As the regulations required a playoff, Carlsen also got to watch MVL and Giri battle it out, before playing the winner. Vachier-Lagrave beat Giri 2-1 but then lost to Carlsen 1.5-0.5. Now here's where it gets weird. The Grand Chess Tour regulations also award the finishing points based on tie-break as well, so Carlsen scored the maximum points (12) and won the overall event. Having beaten Giri in the playoff it might be assumed that Vachier-Lagrave would have finished 2nd, but the playoff was only for the London prizes (not placings!) and so Giri score 10 points and Vachier-Lagrave 8. This relegated MVL to 4th place in the overall standings (instead of =2nd if he swapped points with Giri), and also means he doesn't qualify for next years series (only the top 3 automatically re-qualify, with the next 6 places being based on rating). If on the other hand the finishing places had simply been shared for players who finished on the same scores in each event (which is especially sensible in a RR), then the standings would have been both different, and probably fairer. I'm not convinced chess is entirely fair. Sure both sides start with the same pieces, and play by the same rules, but all to often, my logical, sensible play gets refuted by seemingly random and bizarre moves by my stronger opponent. So I was gladdened to see that Aronian Topalov game from round 7 of the London Chess Classic. Topalov played a strange (but by no means unknown) line of the Symmetrical English, where his knight moves 6 times before move 10. The logic behind this is the disrupt the White king, forcing it to move a couple of times, and preventing White from castling. Of course if I was showing this to a class of juniors I'd be waving my hands around at this point saying "and White wins", when of course this isn't quite true. White had a slight advantage, but it still took some energetic play from Aronian (and a pawn sacrifice) to convert. If you had to point the finger at any one move, then 20 ... Rd8 is the real culprit, allowing White to win the pawn on g5 and establish his queen on a strong square. After that it was all pretty straightforward for Aronian, and Topalov resigned just before his position was about to get wrecked by an exchange sac on c6. The 2015 Australasian Masters began today and the first round provided enough action to keep all the spectators happy. Four of the 5 games produced a winner, and there were a number of upsets as well. The stand out game of the first round was IM James Morris win over GM Vasily Papin. Morris's exchange sacrifice on move 13 might not have been completely sound, but Papin missed the strongest defence and Morris was able to sacrifice more material to expose Papin's king and leave him facing mate in 1 by move 28. IM Max Illingworth beat GM Daryl Johansen in the longest game of the round, where Johansen's knight could not hold back Illingworth's pawns. FM Luke Li defended well to draw with GM Arturs Neiksans, and IM Bobby Cheng sacrificed two exchanges to force a pawn promotion against IM Ari Dale. IM Kanan Izzat also started with a win, beating IM Anton Smirnov, in a game we held an edge for quite a long period. 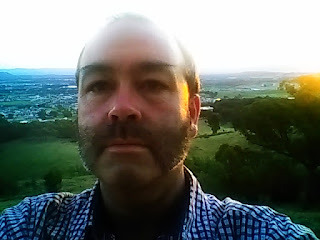 Coverage of the event is at http://www.chessvictoria.org.au/site/victorianchess/2015-australasian-masters and contains links to live broadcasts of the games. The annual ACT Junior Chess League Transfer Championship is on this Sunday (13 December) starting at 12:30pm. Although organised by the ACTJCL it is in fact open to players of all ages. You can either form a team prior to registration, or just turn up on the day and find a partner there and then. Cost is $20 per team ($10 for individuals) and there are trophies on offer for successful teams (plus rating categories) as well as such novelty categories as best adult team, oldest team, best sibling team, and anything that springs to mind. Standard Transfer (Bughouse) rules apply, although there will be some leeway for players and teams who are new to this chaos. The event is at Campbell High School (next to the War Memorial) and registration is from Noon. At the completion of the event there will be both prize giving, and free pizza for everyone who takes part. Someone at my chess club asked me who was winning the current London Chess Classic after round 5. "Whoever has played Topalov" was my flippant reply. To this answer I can probably add Anand's name, as between them they have been involved in all the decisive games so far. The current win rate of 16% (5 from 30) is extremely low and already discussions about why this is so have started. Probably the most popular theory is that all the players are so close together in strength that risk-free play is the optimal strategy. Of course the downside of this is that if neither player takes a risk, then a draw is the likely outcome. This theory seems to be supported by what happened in the Grischuk - Anand game today. If you look at the position after move 22 you might think that Anand was on top. However there is a difference between dynamic features and static features, and after the exchanges on f3, it is the Black c pawn that is the real target in the position. White's bishop is out of play on h1, but this is only a short term disadvantage, and after a further 20 moves, White repairs his position, and then converts the ending. So Anand may have tried to mix things up with his kingside play, but this came to naught, as Grischuk was able to weaken the c pawn as far back as move 12, before defending for as long as necessary. Registrations for the 2016 Doeberl Cup are now open. With Easter being very early next year (24-28 March) there isn't as much time to get organised as usual. So rather than leaving it to the last minute and missing out on accommodation etc, better to register now and put those worries behind you. Once again the tournament will be held at University House on the grounds of the Australian National University and there is accommodation on site. This proved very popular this year, so booking early is recommended. Once again the prize pool is over $20,000 with $4000 on offer as first prize in the Premier. Early entries include GM's Ganguly and Johansen, but expect a few big names to be announced over the coming months. All the tournament details can be found at http://www.doeberlcup.com.au/ There you can enter the tournament, check out who else as entered, try for free entry by entering the T-Shirt competition, or subscribe to the tournament newsletter. One of the great things about the London Chess Classic is that the organisers put on a large number of subsidiary events that caters for almost every level of chess player. There is a FIDE Open Swiss, which would normally be a headline event on its own, given the field of 247 players contains 28 GM's and 34 IM's. There was a successful Weekend Swiss event as well, run over a number of grading sections. The weekday swiss has also attracted a sizeable field, while the Rapidplay event at the end will probably have a couple of hundred players taking part. In amongst these events are a number of Australian players. In the Open, Pengyu Chen is on 3/5, with Yi Liu on 2.5 and Emma Guo on 2. Chris Skulte and Derek Roebuck took part in the Weekend Under 2000 event, with Skulte finishing on 3/5. And finally Stephen Jago is playing in the Weekday Under 2000 event, which began last night. After a week of silence over the US Treasury sanctions concerning FIDE President Kirsan Ilyumzhinov, the FIDE website finally makes mention of it. The short of it, is that Kirsan Ilyumzhinov has withdrawn from any "legal, financial and business operations of FIDE" and has authorised Georgios Makropoulos (FIDE Deputy President) to carry out the functions of President. In the statement FIDE say that Ilyumzhinov will stand down until his name is removed from the sanction list, which I suspect will be a lot longer than he imagines it will be. In terms of how this effects FIDE itself (or more importantly, FIDE governance), probably not at all. Makropoulos pretty much runs FIDE on a day to day basis anyway, with Kirsan mainly being responsible for "blue sky" ideas and securing funding for FIDE events in the old Soviet Bloc. As the actual sanctions simply prevent US citizens from having any financial dealing with Ilyumzhinov, this is less of an earth shattering change, and more of a move to allow FIDE to legally do business with the US. Where this might end up being a more permanent change is in the context of the Russia - Turkey dispute over who is buying and selling ISIS oil. Turkey has made mention of the involvement Russian "chess champions" in their claims about Russia, although it is assumed that they are referring to Ilyumzhinov. It may well have been politically convenient for Kirsan to assist the Syrian government at some point in the past viz-a-viz oil supplies, but it may now turn out to be an embarrassment to the Russian government, and if it is, they may try and argue they had no knowledge themselves, and cut him loose. Despite the recurring hoo hah about draws in chess, there is a certain appeal to games that end in "exciting" draws. By "exciting" I mean positions where won side is materially losing or facing imminent death, except for that one drawing resource they have. Of course for the experienced professional a draw is a draw, no matter how its achieved, and what may be flashy to the spectators is simply a means to an end for the players. Round 2 of the London Chess Classic saw all the games drawn, but at least in the Carlsen v Caruana game, the rather dry play out of the opening was somewhat redeemed by the last few moves. While the start point of openings is pretty straightforward (Move 1!) and the middlegame starts when your memorisation of opening theory runs out, the start point of an ending can be a little trickier. When I was writing chess engines (which evaluate positions differently in the ending), I had an arbitrary rule that the ending started when there was less than a Q+R in material (excluding pawns) for each side. The other possible definitions include "when pawn promotion becomes a goal" or "when the king can move about without the risk of getting checkmated". It is the last definition that I use most often when coaching. Of course it does depend upon on recognising all the threats in the position, and there are plenty of endings that have ended in checkmate. A kind of counter-example (in a different sense) turned up from last nights first round of the London Chess Classic (the reason why this post is late btw). The Grischuk - Nakamura game started off with a Berlin Defence to the Ruy Lopez (which is an opening known for a quick transition to an ending). On move 18 Grischuk decided that the king could be used as a fighting piece and moved it up the board. This was a brave decision as there were still plenty of pieces on the board (2R+3 minors each), and it was no surprise that found itself surrounded 10 moves later. 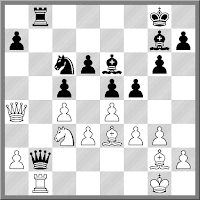 However Grischuk had just enough the avoid getting mated and in the end Nakamrua had a repetition but no more. Flipping through some of my old games I came across a game I seemingly played against a very famous, and very prolific opponent. The opponent in question was AN Other, the hero of many a spectacular loss, often at the hands of some of chess's greatest players. And in the game we played he certainly lived up to his reputation, allowing me to sacrifice a piece for a a winning attack. The 2015 London Chess Classic is already up and running as I type this, although the main event (the 10 player RR) does not begin until Friday. Today is the 2nd day of the British Knockout Championship, with David Howell up against Gawain Jones and Nicholas Pert playing Luke McShane. There is also a 9 round FIDE Rated Open, as well as rapidplay's, simuls and other events. Also of interest is the Chess and Education Conference which is being held on the 5th & 6th of December. John Adams (from Australia) is presenting a paper at this conference, looking at the direct economic benefits that chess can bring to a country. The home page for the tournament is http://www.londonchessclassic.com/ and from there you can find all the tournament goodies. The release of the 2015 December Australian Ratings threw up a somewhat remarkable occurrence. On the list of most improved players there were 8 players (out of 30), all from the one club. The Belconnen Chess Club recently became a bit of a mecca for improving juniors, and this is now being shown on the rating list. To be absolutely honest, in a lot of cases the players who joined the club were already on the improve, and would have jumped up the list anyway. But there are also some players (with higher ratings) who's improvement has been helped by the step up in competition. Of course the trade off for the club is that some existing members ratings have taken a bit of a hit, although this hasn't been too drastic (due to the use of the Glicko 2 System in Australia). So congratulations to the young Belconnen members for their improvement, and it will be interesting to see how far this improvement extends. I may have (or may not have) solved a mystery involving certain brands of DGT clocks. At Street Chess the DGT Easy and Easy+ models sometimes suffered from a defect where even after pushing the lever, a players time continued to run down. It didn't happen with all the clocks, but it happened often enough so that players simply did not trust them. What was particularly annoying was that when we tested them elsewhere, they seemed to work fine. Some had been used at other clubs without problem, but at Street Chess they seemed to misbehave. So what was it about Street Chess that was different? Now it turns out there are a few things that a different (outdoor play, fast time controls etc), but one thing I had not previously considered is that we play on a slope! Not a steep slope. but the tables ar off level by 1 to 3 degrees. And this has me wondering whether the switch mechanisms in the clock do not operate properly under those circumstances. Even after being pressed the lever may tilt back just enough to restart the first players clock, and robbing them of their time. Further investigation is still be done, but if it turns out to be the cause, it will be spirit levels front and centre. Some chess players are notorious for having bad tempers, although I assume the ratio of angry chess players is no better or worse than the ratio of angry people in society. There have of course been occasions where games have resulted in violence (eg at the Doeberl Cup some years back), so it is always interesting when similar incidents happen in similar (but non-chess) environments. For example, a monopoly player has been arrested for starting a brawl at a Monopoly tournament in the United States. In a scenario that chess organisers might be able to sympathise with, the player concerned had previous 'form', including being expelled from the previous years event. Despite being asked no to attend, the player turned up anyway, and predictably, trouble ensued. Oddly, when tracking down the link for this event (using the search teams 'monopoly player arrested') I came across a number of other cases where playing Monopoly lead to trouble. In a few cases knives were involved, although the most hilarious case involved a game of 'strip monopoly' getting out of hand, with a jealous girlfriend landing one on a fellow player who was making eyes at her boyfriend. So while chess isn't perfect in the behaviour stakes, it is at least good to know we aren't alone with the crazy! The 5th round of the 2015 ANU Chess Club's Spring Swiss saw a brevity in one of the games. White was checkmated on move 16 (unfortunately for him), but what gave the game a particular interest was that Black sacrificed his bishop on h2 as early as move 7. The sacrifice (known as the Greek Gift) was entirely sound, and after the game the winning player and myself went searching for games where the sacrifice occurred earlier. 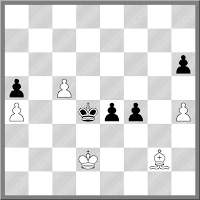 Theoretically, the earliest it can occur (for Black) is on move 4, as White needs 4 moves to castle. However my attempts to construct a game where this happens (eg 1.e4 e6 2.Bc4 Bd6 3.Ne2 Nf6 4. O-O Bxh2+) just leads to White getting a better position, as White can defend by bringing the king to g3. Our searching turned up lots of games where Bxh2+ was not a real sacrifice, as White has a bishop on g5. There were also games where Black sacrificed and lost, so we discarded those games as well. In the end we found one game where Black sac'ed on move 6, but that was about it. So the following game goes very close to equalling a record, missing out by 1 move. I've been doing a lot of riding recently, so a story about "Bike" chess attracted my attention. It was one of a couple of variants tried during the Hoogeveen tournament in The Netherlands last week. Loek van Wely and Jorden van Foorest played each other while riding stationary bikes. Now I am not sure what the rules of "Bike" chess are (and the article on chess.com doesn't explain), but if the actual riding doesn't affect the play, then I am missing the point. One suggestion in the comments to the article was that the faster you ride, the less your time goes down, which does make sense to me. Just like chess boxing (or 'round the house' chess) there would be a trade-off between not tiring yourself out, and gaining an advantage via physical means. The other form of "bike" chess that I would one day like to see is cyclists in one of the grand tours (eg The Tour de France) playing blindfold chess in the peleton. I am sure that there would be more than a few professional cyclists who are chess players, and a game of blindfold chess (with the players shouting the moves to each other), would help break up the monotony of staring at the bottom of the cyclist in front of you. There have been a lot of attempts at designing 3 dimensional chess, but what about going the other way. There is at least 1 version of 1-D chess, played on a ring, as well as variations on a theme, where the boards are almost 1-D. I'm not sure how playable such games are, although the rules seem to make sense. There is no queen (doesn't quite fit, although it could still be R+B), and the knight seems crippled. On the other hand the bishop moves are logical. One test is to get two 1-D chess engines to play each other and see what sort of games occur. If there is an obvious winning strategy (or the games look stupid) then it is of course a bust! If you are interested in giving 1-D chess a try then the rules for each of these games can be found here. The 2015 Bilbao Masters begins tomorrow, following its recent format of a 4 player double round robin. While initially set up as final for the Grand Slam series of chess events, these days it is simply a very strong Super GM event. This years edition features Anand, Giri, So and Ding. Despite being the oldest player in the tournament, Anand is the top seed, although at this level, ratings seem to matter less. While the invite list may have changed, the tournament is still sticking to some other traditions. It is using the 3-1-0 scoring system, and draws can only be agreed with the permission of the arbiter. The rate of play is also a kind of fast/slow hybrid, with 40 moves in 90 minutes (fast-ish), followed by 60 minutes (a larger than normal bonus), with a 10 second increment from move 41 (a fast increment). Live coverage of the event is at the tournament website, although with only 6 rounds on offer, blink and you may miss it. One of the regular complaints about Correspondence Chess is that 'everyone uses a computer'. Now this is of course not true (the 'everyone' bit that is), but the use of engines is reasonably common, at the international level. However there are times when clearly this is not the case, as shown in the following game. It is from a recent ICCF event, although I have removed the names of the players as the game in question is not publicly visible yet . At first glance Black has walked into a trap, with 11. 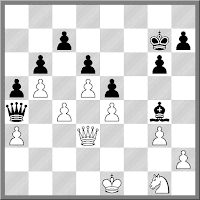 ... Ke7 leads to 12.Qxd8+ Kxd8 13.Rd1+ Ke7 14.Nxa8 with a clear advantage. I assume Black saw this and resigned. However if Black is brave and plays 11. ... Qxc7 12.Bxc7 bxa1(Q) 13.Qxa1 Black has a RBNP for a Q and is not that badly off. I again assume that Black just did not look at this line, indicating an all too human failing of not looking at *all* checks and captures! The 2015 ACT Secondary Schools Open Teams Championship ended in a run away victory for the Lyneham High School Team. There score of 27 points from 28 games showed the depth of the team, with all 4 boards being fairly high rated (and experienced) players. They finished 7 points ahead of the second placed team from Radford, with Canberra Grammar finishing third. It was an enjoyable days chess, and by the looks of it, everyone had a good time. But the real highlight of the day for me was the choice of name of one of the other Radford teams. Taking a cue from this recent story, they decided to salute a sports star who previously attended their school. To the players who fronted up as "Radford Kyrgios" I say, well played! Former World Champion Garry Kasparov and Former FIDE General Secretary Ignatius Leong, have been hit with a two year ban from activities related to chess administration, over their conduct in last years FIDE election. The ban was handed down by the FIDE Ethics Commission, who had found them guilty of breaches of the FIDE Code of Ethics a few weeks earlier. The case concerned a contract between Kasparov and Leong which in part listed a set of payments in return for Leong securing votes for Kasparov in the 2014 FIDE elections. Opinion on this verdict is of course divided, mirroring last years election. Comments on chess.com have not been flattering to FIDE (which is to be expected). On the other hand a few people have defended the decision, arguing the evidence is pretty straight forward. Of course this could be the start of a wider investigation of alleged corruption around FIDE. With FIFA in the spotlight it may be the case that FIDE wants to get its own house in order before external investigators start sniffing around. The European Club Championship is currently running in Skopje, Macedonia, and once again sees a number of phenomenaly strong teams taking part. Perennial favourites for this event, SOCAR, have found a spot for Fabiano Caruana on Board 3(! ), behind Topalov and Giri. But he won't be lonely there because (as GM David Smerdon has pointed out), he will be fighting for the board 3 prize with Nakamura, Grischuk and Jakovenko. At the other end of the tournament are the more 'journeyman' teams, including the team I support, White Rose (ENG). Seeded 34th (out of 50) they do have 1 GM and 2 IM's playing for them, and while they may terrorise some of the lower ranked teams, top board glory will probably elude them for another year. Full results from the tournament can be found at chess-results.com while the tournament web page is here. Continuing my recent theme of tough endings, here is a position that occurred last night at the Belconnen Chess Club. White had earlier won a piece with a pawn promotion tactic, but Black had made the ensuing ending as difficult as possible. 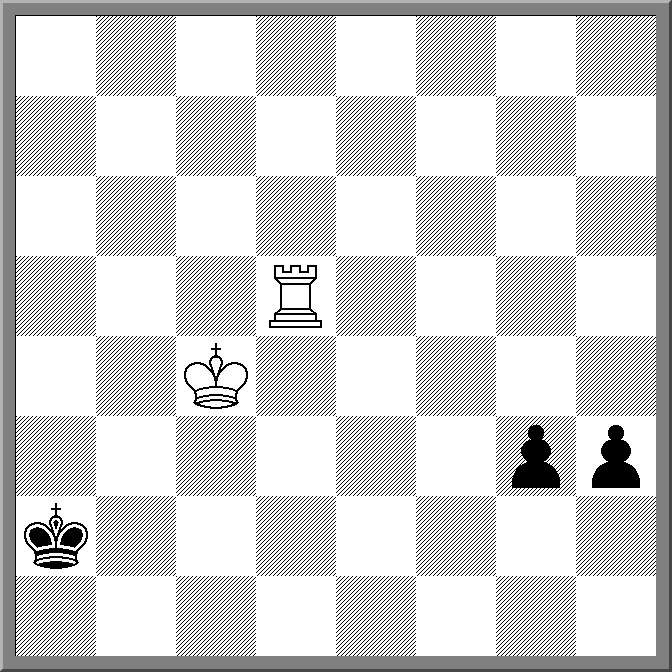 In the diagrammed position, White had just played c5 to try and get the Black king away from the pawns. Even though White is a piece up, the win is a little tricky, and in the end White failed by a single tempo to achieve it. Despite the widely separated pawns on the board, once the bishop left the board, Black had just enough time to either trap the White king on the h file, or capture the h pawn and trap the king on the a file (which is what happened). It turns out the missing tempo wasn't some clever zugzwang idea with the bishop, but simply by pushing the h pawn, before taking on f4. However by the time this position was reached it was almost midnight, and with both players close to zeitnot such a miss, while unfortunate, is understandable. 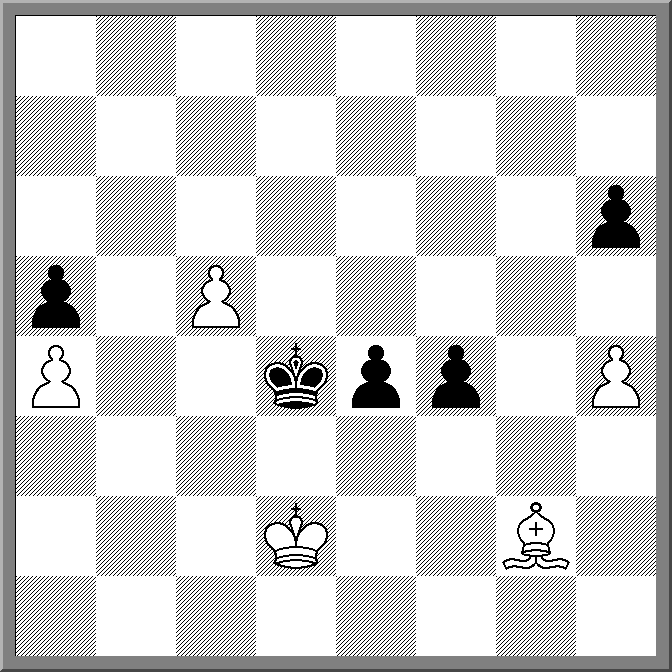 All other things being equal, adjacent passed pawns on the 6th normally beat a rook. This is because when one is pushed, it is still supported by the other, and covering the back rank leads to two adjacent pawns on the 7th. But in chess, all things are often not equal, with other factors such as the placement of kings coming into play. 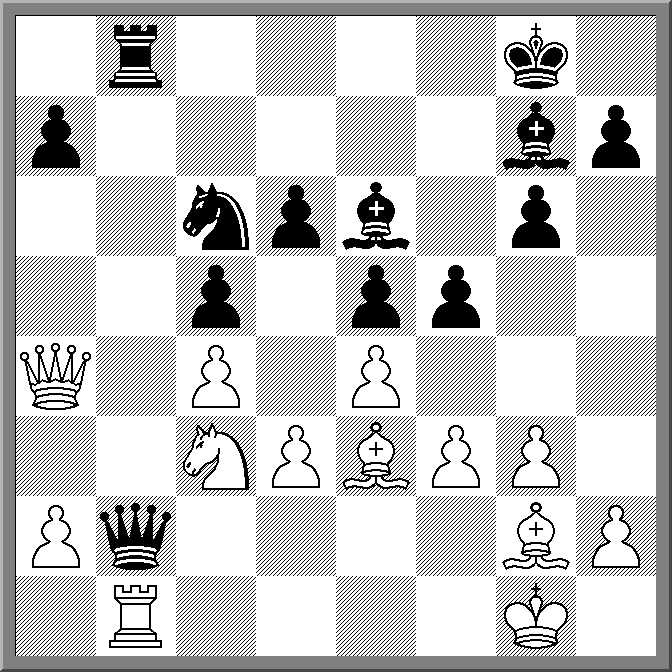 The given problem demonstrates this is a nice way, with the position being a win for White (who is on the move). While there is some exact play required, the big takeaway from this puzzle is that there are circumstances where having pawns on the 6th and 7th rank aren't a problem, as long as the enemy king is on the 7th as well. But how do you get to such a position? In between rounds of today's Street Chess event, weird and wonderful opening theory was being discussed. Matt Radisich's favourite Halasz Gambit (1.e4 e5 2.d4 ed 3.f4?) was the kick off point, but it quickly shifted to the Mason Gambit (IIRC). Stephen Mugford was the source of a line that seemed so bizarre that at first I assumed he was just making it up. 1.d4 d5 2.Bf4 c5 3.e4!? were the first few moves and the main line he then showed us continued 3. ... dxe 4.d5 Nf6 5.Nc3 a6 6.Qe2 In response to my incredulity, he mentioned that Luc Winants was a practitioner, at which point I figured it probably was a real line. It looks like a cross between the London System and a reversed Albin Counter Gambit, but does contain a few drops of poison. The main line (as given above) seems to score well for White, and has been played by a number of strong GM's. But based on the (few) games in my database, developing with 3. ... Nc6 seems to be the best choice, as White scores poorly. On the other hand, here is an example of what can go wrong for Black if he does take on e4. The English Bridge Union had attempted to get the definition of what is a 'sport' changed by the UK High court, so as to access extra funding from the UK Government (through the National Lottery). If successful this would have had implications for chess, as it was highly unlikely that chess would have excluded under a redefinition. Sadly for Bridge (and Chess), the application was rejected, as it could not be considered a physical activity. So for now chess/bridge/backgammon/scrabble are out, while dwarf tossing and bog snorkelling are (presumably) in! The 2015 World Blitz Championship has ended in a win for Alexander Grischuk. Grischuck, who has a propensity to get into time trouble in long time control games, used this problem to his advantage to win the event with 15.5 points, half a point ahead of Maxime Vachier-Lagrave and Vladimir Kramnik. Defending champion Magnus Carlsen had a bad finishing run to end up on 14 points, but the bigger story was his animated reaction to losing. He used a recognisable Norwegian expletive after one game, and left the board quite agitated. As with similar incidents in tennis there is now a debate about whether such behaviour is unacceptable, or whether it brings some extra colour to chess. Carlsen himself recognised that his behaviour wasn't a good look, describing it at the post tournament press conference as "pretty stupid". The following game was played tonight at the ANU Chess Club, between tournament leaders Harry Press and Fred Litchfield. 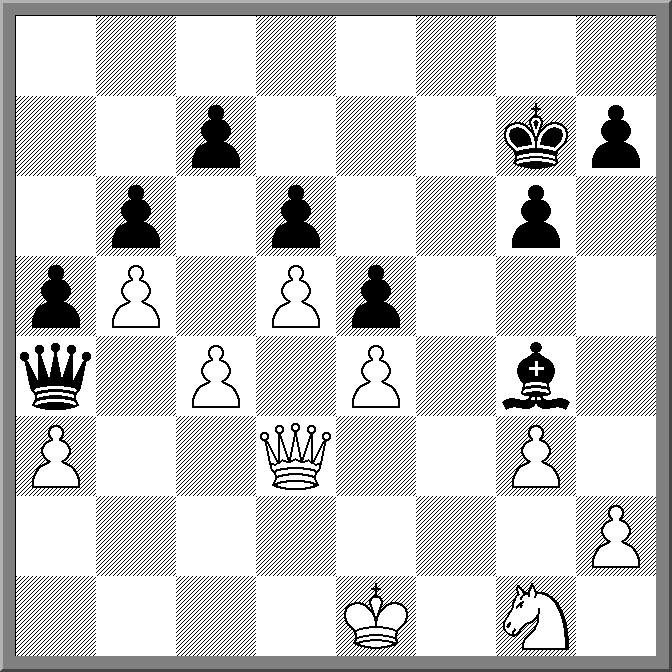 Both players may have mixed up their opening lines (5.Nf3 instead of the intended 5.f4, 9. ... Qb6 instead of 9. ... Bc5) but after that the game turned into an interesting exercise in using the initiative. 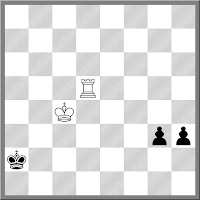 White exploited the location of the Black knight on b6 to play a4-a5-a6, with the idea of creating a weakness on c6. He then landed his knight on the now weakened square, before bringing his rooks into play. Black probably played the position a little too passively, although paradoxically he may have survived if he had "turtled" in the position with moves like Nb8 and Be7. As with games of this type, the decisive moment came when the White rooks reached the 7th rank, and after that all White needed to do was avoid back rank tricks to secure the victory.